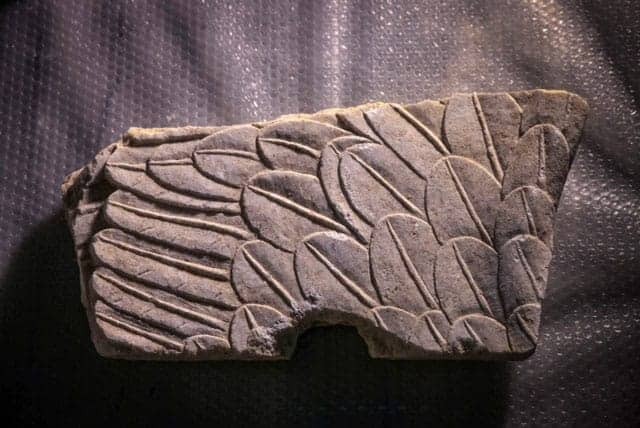 Between August and early November of this year, much has been reported both in Greece and internationally about the 2014 season of excavations at the Kasta Tumulus near Amphipolis, at the eastern edge of the region of Central Macedonia in Northern Greece. The site has been sensationalised as a potentially royal tomb from the era of Alexander the Great, one of history’s most fascinating characters, or from very soon after his reign. Already in March 2013, I wrote about the site on this blog and promised to return to it once more information became available. 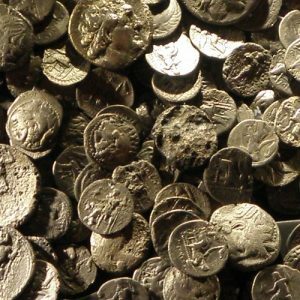 Now is the time to make good on that promise, to provide a preliminary synopsis of what was revealed this year and what can be stated with certainty about the site at this stage, and to offer some comments on the discoveries’ broader significance. The occasion of last year’s post was a conference presentation by the excavator, Aikaterini Peristeri, of results from work in 2012, describing what she and her team had found by then. Such “after-action” reports are the normal modus operandi for announcing archaeological finds. This year, a different approach was chosen: as the (or an) entrance passage to the (or a) tomb was being discovered, new finds have been published piecemeal in the form of a long series of press releases. That strategy was successful for a long time. As the tomb did indeed reveal a whole series of sensational features, one after the other, the releases built an arc of suspension that lasted for several months. Eventually, however, it did not conclude with the “bang”, the final climax everyone had hoped for, namely an unlooted tomb chamber with all its contents. Instead, we have ended up not quite with a “whimper”, but with a more “normal” and more expectable set of archaeological evidence, entailing the prospect of further study and further results in the future. Beyond that, we have also gained the realisation that the Kasta Tumulus is a monument that is unprecedented and exceptional in multiple regards and that can therefore now be considered one of the most important – and most intriguing – recent archaeological finds in Greece. What, then, is the Kasta Tumulus? Although there still are gaps in our knowledge of that huge structure as a whole, it certainly is a burial mound containing at least one passage that – albeit unusual in many respects – can be categorised as a “Macedonian tomb”. That term describes a type of funerary monument that appears to have developed in the cemeteries of “royal” sites in Macedon after the mid-4th century BC and became the preferred grave-type for the uppermost levels of society. 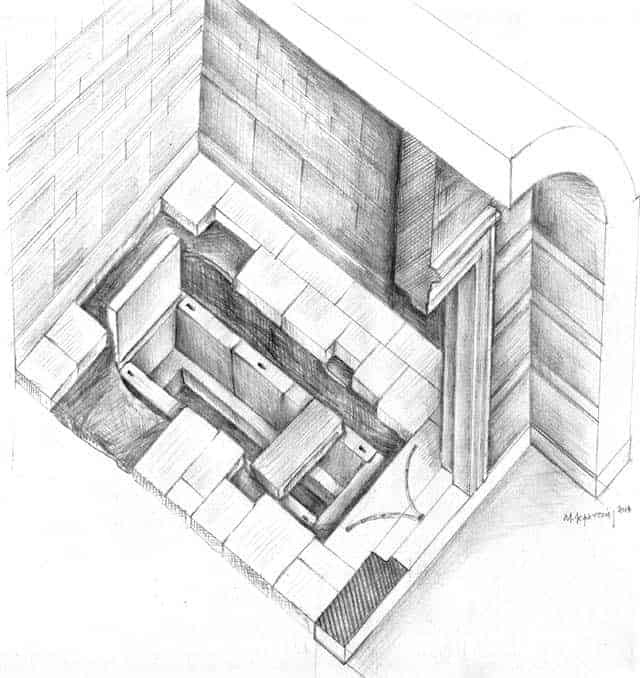 A typical Macedonian tomb is distinguished by a temple-like façade placed below ground level, giving – or blocking – access to a burial passage that usually consists of two vaulted chambers and was normally covered by a mound or tumulus. 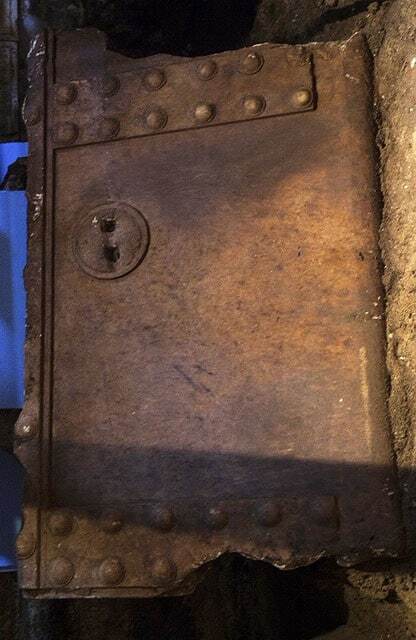 The final chamber normally contained the remains of one or several deceased, in most cases cremated, surrounded by precious objects which have fallen victim to looting before archaeological exploration in nearly all the tombs known so far, with the famous exception of Vergina. As the name implies, Macedonian tombs are especially common in Macedon, but after Alexander’s conquests they also occurred elsewhere. 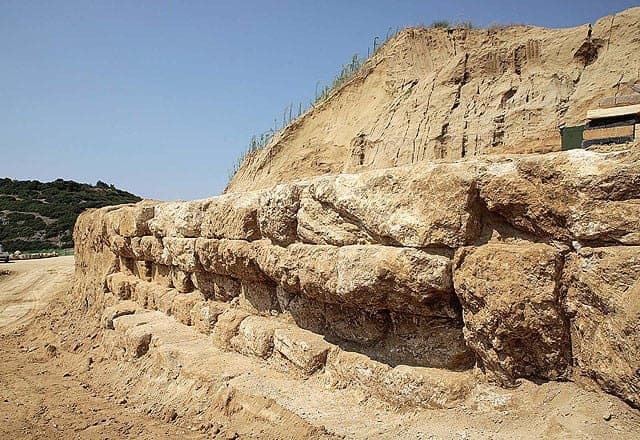 (…) Investigation has revealed [a] well-preserved (…) monumental perimeter wall of limestone, clad with finely cut slabs of marble brought from the island of Thasos. About 3m (10ft) high, it surrounds a mound with a perimeter of c. 500m (1640ft), or a diameter of 160m/525ft, and an estimated original height of over 25m (80ft), dimensions considerably larger than those of the famous Great Tumulus at Vergina, which contain[ed] the remains of Philip II and other members of the royal family [NB: some scholars disagree]. A monument of such size should contain one or several burial chambers, but archaeologists have not yet been able to explore the interior of the mound. Portions of the perimeter wall appear to have been removed in Roman times. 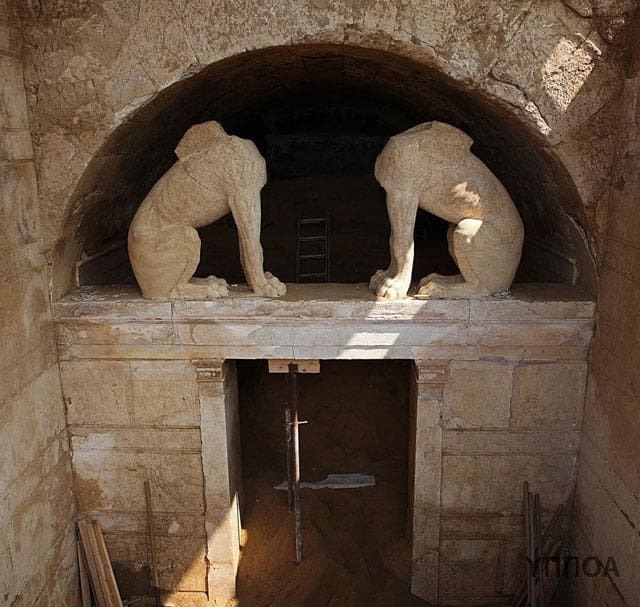 The search for those missing pieces led to a truly astonishing realisation: following careful measurements, Peristeri’s site architect, Michalis Lefantzis, has identified the blocks of the Lion’s current reconstructed base and a large number of further fragments in the same area as belonging to the tumulus. Apparently, they had been taken from the mound and used in securing the bank of the river Strymon. This strongly suggests that the animal originally crowned the top of the tumulus – the original monument must have been spectacular to behold! So what we had last year was an extraordinarily large tumulus (both in area and height) with an elaborate perimeter wall and – uniquely – surmounted by a monumental sculpture. 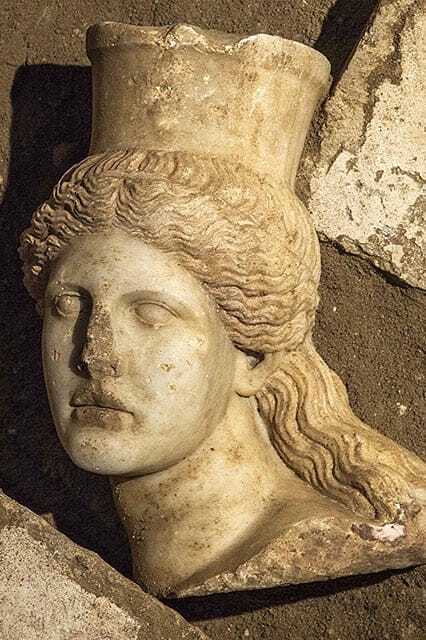 That in itself was a great story already and led to much speculation, including that the then undiscovered tomb might be that of Alexander the Great’s wife, Roxane. If those strike you as tall tales based on limited evidence, wait for the overdrive of speculation that occurred this year – but one thing after another. In August (judging from the press releases), Peristeri’s team, while working on the perimeter wall, discovered what they were presumably hoping for: the tell-tale gap indicating a burial passage. From then onwards, increasingly difficult excavations began to reveal more and more of that structure. Rather than replicating the piecemeal approach of the press releases, in the following I will try to briefly describe the astonishing monument they found. The burial complex discovered at Kasta this year is – as to be expected – a linear structure, about 4.5m (15ft) wide, 5m (16.5ft) tall and with a total length under 20m (66 ft). It is located entirely underneath the level of the marble-clad perimeter wall delineating the tumulus, penetrating towards its centre from the southwest. The outer façade of the Kasta tomb, with the doorway, lintel and sphinxes, only their heads and wings missing. (Image: Greek Ministry of Culture). Approached by a steep stairway of 13 marble steps, an elaborate marble façade, painted at least in part, is pierced in the middle by a wide marble doorway with no doors. 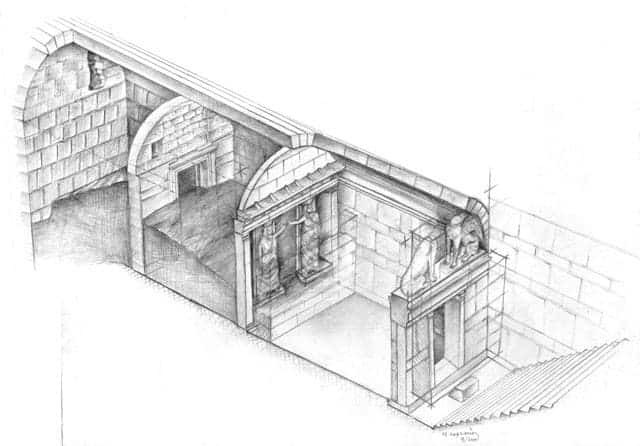 The lintel above is relieved from the weight of the tomb’s barrel vault by a large arch. The resulting semi-circular space contains the statues of two sphinxes, placed like guardians over the tomb entrance. Once published, they soon became the emblematic image of the Kasta tumulus used by the press throughout the world. Although imagery of sphinxes has been found depicted in Macedonian tombs before, such a feature – sphinxes in the form of large-scale sculpture incorporated into the tomb’s façade – is so far unprecedented. Much has been written about them already, including the idea that the sphinx, a well-known Egyptian motif, may be a reference to Alexander’s conquest of Egypt. 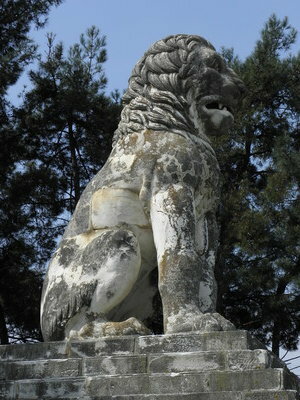 It should be noted that sphinxes are seen often in Greek art since the 6th century BC, and that they frequently occur as grave markers since the Archaic period. 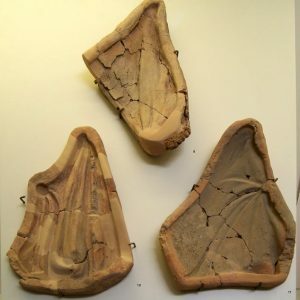 The Kasta sphinxes are very fine indeed – especially their wonderful wings, found in fragments in various parts of the tomb – but they are not an exotic motif in the region at that time. The doorway below the sphinxes gives access to a succession of three chambers.The first chamber, ca. 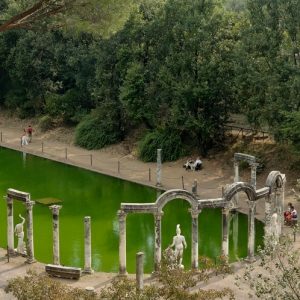 6m long (20ft), is paved with a floor of chipped marble embedded in red clay. There may once have a layer of paint as well. More paint is found on the walls of this chamber. Its clear focus of attention, however, is the next separating wall and doorway, flanked by a pair of Caryatids (statues of girls or young women serving as pillars), one on either side, supporting an Ionic-style architrave. Each is 2.3m (7.5ft) tall and stands on a pedestal of 1.8m (5.9ft) height. 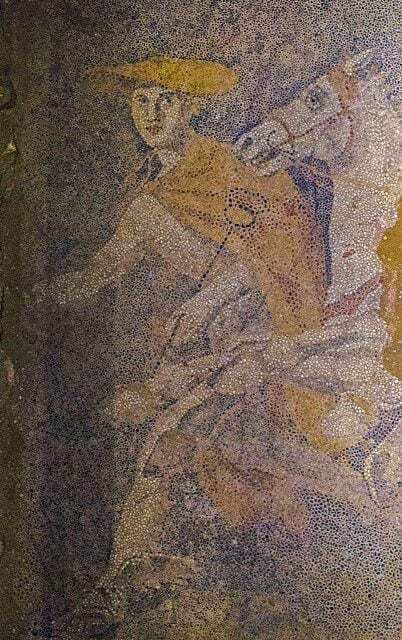 Again, this is the first time such figures occur in a Macedonian tomb and there has been much speculation as to their meaning, including suggestions that the tomb’s occupant must be female or be linked with Athens. The cautious observer should keep in mind the best-known Caryatids of ancient Greece, those of the Erechtheion on the Athenian Acropolis, famous already in antiquity. Even though they are part of a monument that has been central to art-historical discussion for centuries and thus belong to a context that is much better understood than Kasta, there is no clear consensus on the meaning of the Athenian Caryatids. 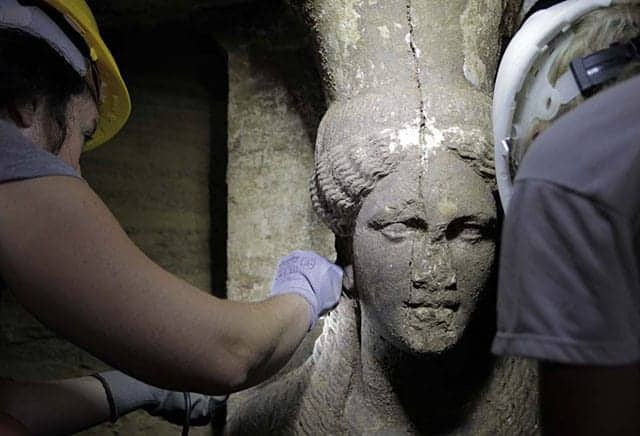 Therefore, the “new” Amphipolis ones can clearly not be “read” in a straightforward fashion. What can be noted is that they are deliberately imitating the Archaic style of Greek sculpture, which had gone out of use at least 150 years before their creation. Behind the Caryatids lies another chamber of 3m (10ft) length. This was a splendid space, separated from the final chamber by a solid marble wall, its central opening originally closed off by monumental double-bladed marble door, as known from other Macedonian tombs, held by a marble door-frame in the Ionic style. But while that door must have been an impressive sight, what makes this room truly unique is the superb pebble mosaic on its floor, a masterpiece of its genre. Pebble mosaics became widespread in Macedon in the late 4th or early 3rd century BC and while it is not clear whether they were a local invention, the region certainly became a centre of their production, most famously represented by the wonderful examples from Pella, birthplace of Alexander the Great. Later, they also became popular elsewhere in the Hellenistic World, e.g. on Rhodes. 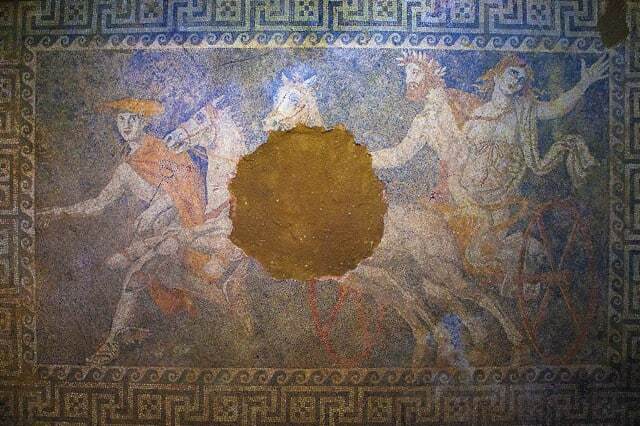 The Kasta mosaic is a dramatic depiction of a famous mythological scene, the abduction of Persephone by Hades (we’ve told the story before). The action is shown with a great sense of movement and dynamism: Hades is driving his horse-drawn chariot while clutching Persephone, who is struggling and appealing for help. Seen ahead of the horses is Hermes, the psychopompos or leader of souls to the underworld, his face shown in frontal perspective. The details of this very fine work are exquisite: note for example the face of Hermes, the horses’ heads, the wreath worn by Hades and the garment and jewellery adorning Persephone. The motif is not especially uncommon and due to its connotations (see link above), it suits a funerary context well. Incidentally, the Kasta mosaic alone would qualify as a key find of recent years, a major addition to an important genre of ancient art. The doorway leads into the final chamber, a little longer than its predecessor. It does not contain striking embellishments like those encountered on the way to it, although there have been some vague references to paint on its walls. The room had a floor of large limestone flagstones. Underneath that floor is a large stone-lined space measuring 3m (10ft) by 1.5 m (5ft) and 1m (3ft) in height. Even without supporting archaeological evidence, this would suggest a grave. A narrow but carefully cut trench at the bottom was probably where the actual body of the tomb’s occupant had once been placed. Within that area, the archaeologists found the disarticulated remains of a human skeleton. Other finds included iron and bronze nails as well as various fragments of carved bone (or ivory?) and glass, all of them probably decorative inlays from a long-lost and highly ornate wooden coffin. The bone carvings include what is clearly the egg-and-dart motif of an Ionic style frieze, very much in keeping with the architectural ornamentation of the tomb itself. Now, before anything else can be said about the Kasta Tumulus, its details and its contents, it is necessary to consider the conditions they were found in. It is clear that the original state of the structure and its contents have been disturbed, damaged and reduced, probably due to three factors. – Looting and vandalism: For the careful observer, the fact that the tomb had been entered and thus probably looted at some point before the 2014 excavations would at the very least have appeared likely long before the skeleton was found, especially when it was announced that parts of the sphinxes (wings and a head) were found much further inside the passage, when the evident damage to the mosaic became visible, and when it turned out that the marble door to the final chamber had been smashed into small fragments (most of them missing). The state of the actual burial underlines this clearly: it has been plundered and scattered, and the assemblage probably originally contained a quantity of fine objects (metal or clay vessels, jewellery, armour etc, as known from unlooted tombs elsewhere) that have been removed at an unspecified time in the past. Unfortunately, that is the normal state of affairs for most ancient graves, especially the monumental ones (they are not the most discreet way to deposit treasure, after all). The looting may have happened within generations of the tomb’s construction, or at any point since. It is tempting to suggest that it coincided with the removal of the lion from the tumulus, but we cannot be certain. – Structural issues: the 2014 announcements make it very clear that the tomb structure is quite damaged, apparently from the sheer weight of the mound resting upon it. The removal of soil from within the chambers may have aggravated this and much effort is now being made to consolidate the structure. – Past modifications. The excavations revealed a series of relatively poorly-built blocking walls within the tomb’s chambers, as well as massive fills of sandy soil. It is certain that these were added in antiquity, either to prevent entry by looters, or to stabilise an already deteriorating structure. 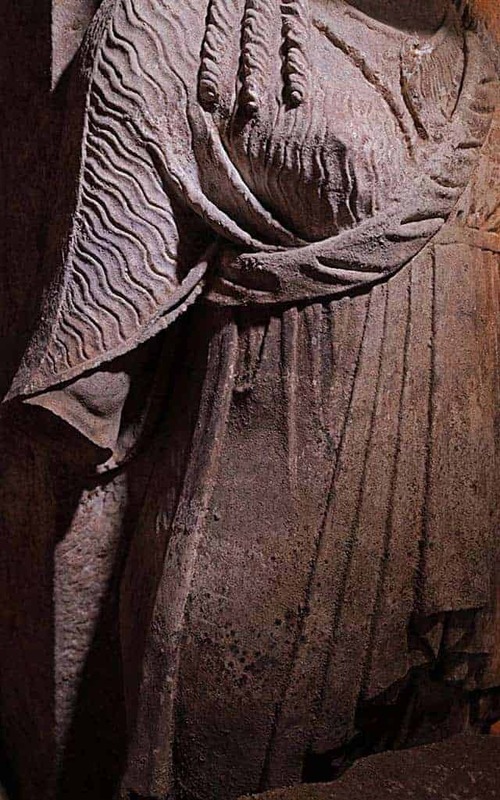 The materials used include local limestone as well as an astonishing quantity of Thasian marble, the finest stone for architectural or figural sculpture available in the region (the island of Thasos is about 60km/40mi from Amphipolis as the crow flies), used e.g. for the sphinxes and caryatids, but also for the lintels and for the entire outer perimeter. 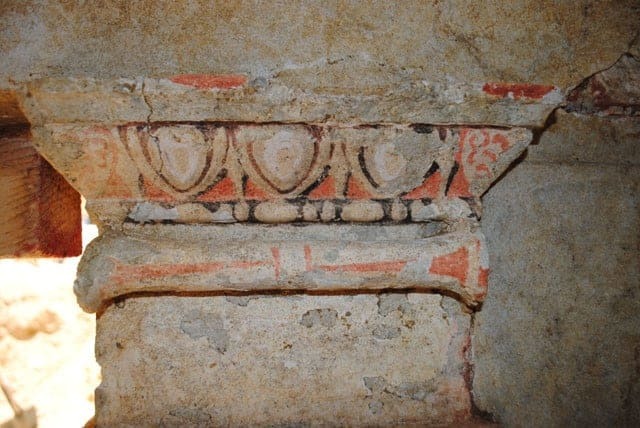 There are extensive traces of paint on some of the architectural elements within the tomb and it has recently been announced that there may also be traces of figural wall paintings (see postscript below!). The archaeologists working at Kasta have been proposing a late 4th century BC date, i.e. very soon after the reign of Alexander the Great, ever since they started to work on the site. Initially this was met with some scepticism, as the unusual juxtaposition of sculpture within the tomb led to the suggestion that it might be of Roman date. 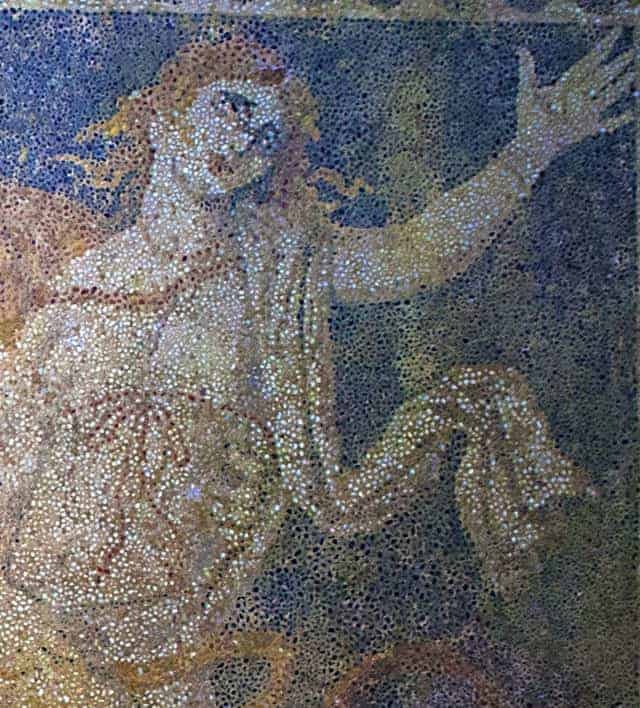 Various stylistic factors, especially the Persephone mosaic, strongly support the early dating: the mosaic ought to belong to the late 4th or early 3rd century BC. This is the period just after the fragmentation of Alexander’s vast empire, when Macedon was firmly established as a major power within the Greek World, dominating mainland Greece in political and economical terms and playing a major role in commissioning and thus influencing artistic expression. It is to be hoped that the study of pottery fragments (if any were found) can help clarify the date, as might a radiocarbon date of the bone material. The unprecedented size and innovative features of the Kasta Tumulus and its array of unusual details clearly indicate that it must have been designed as the final resting place for an individual of some importance – its construction required access to vast economic resources as well as to highly skilled specialists. Over a dozen suggestions as to the occupant have been made in the last few months. They include Alexander’s mother Olympias (died 316BC), his wife Roxane, who was supposedly murdered at Amphipolis in 310BC, Alexander’s general and close companion Hephaistion, who died in 324BC, his admiral Nearchos (died 300BC) and so on. It has even been suggested that the monument was constructed for Alexander himself, before his death in 323BC and the “abduction” of his mortal remains to Egypt. 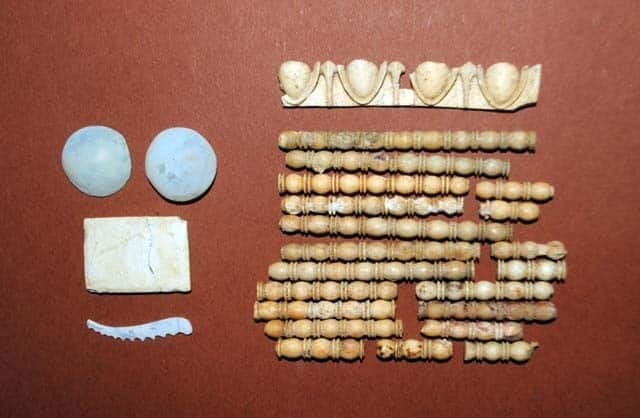 Fragments of the glass and bone/ivory inlaid decorations from the lost wooden coffin or sarcophagus in the Kasta tomb. (Image: Greek Ministry of Culture). And yes, we know that the glass/fayence bits on the left look a little like a Smiley. It’s a coincidence. The simple truth is that all of these suggestions are conjectural, based on various considerations that are of limited relevance. The tomb bears no inscriptions (or none have been found) and none of the ancient writers refer to it. The bone material, once studied, has a potential to reveal much information on the occupant , such as gender, age, height, general state of health, perhaps cause of death and more of that kind, even a date, but it is not likely to specify an identifiable individual. The obvious suggestion is a ruler or member of a royal family. A person of religious significance or an honoured military leader may also be options, but somewhat less likely. The significance of the Kasta tomb does not rely on the specific name of its real or intended occupant. What was discovered in 2014 makes the site exceptional and highly important in its own right, not only contributing a fascinating element of mystery to the already rich archaeological landscape of the region, but also adding first-rate works to the known repertoire of Greek architectural sculpture in Macedonia and – even more importantly – enriching the corpus of pebble mosaics by what will from now on be seen as a central work. A looted chamber and a fragmented skeleton. Is that the end of the Kasta story? Most certainly not: it is in fact a beginning. The serious business of studying the recovered structures and all the finds from within them begins now. That includes the bone material, which will certainly bring us more knowledge of the tomb’s occupant and perhaps yield a date. A geophysical exploration of the vast tumulus will hopefully indicate whether other built tombs can be expected within it. At the same time, work is now starting on a systematic study of the architecture and on its consolidation. 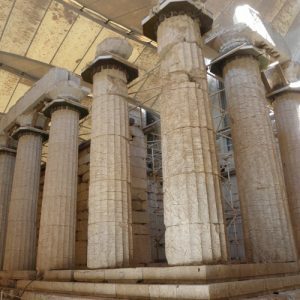 The Greek Ministry of Culture intends to make the Kasta tomb accessible to visitors – but it may take some time until that is possible. We certainly look forward to showing it to our guests. 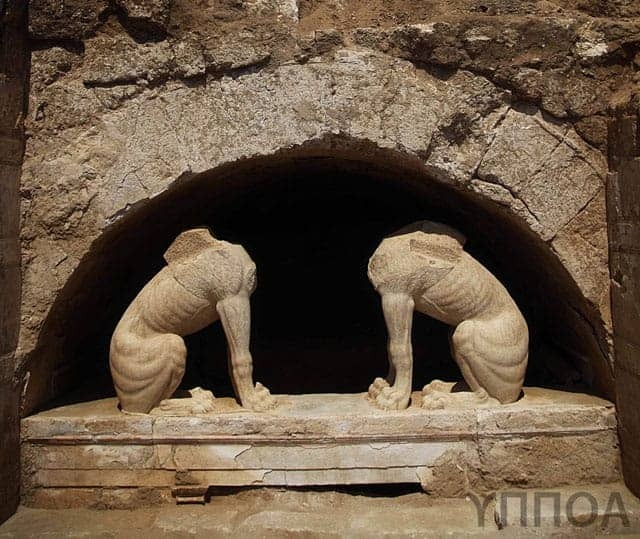 Meanwhile, we shall be watching developments with great interest, as Amphipolis, its Lion and its small but superb archaeological museum are part of the itinerary on our From the Slopes of Mt Olympus to the Shores of the Aegean – Exploring the Archaeology, Food and Wine of Macedonia. On December 2nd, 2014, The Greek Ministry of Culture issued another important press release about Kasta. During ongoing cleaning works, it became clear that the upper register of the marble wall in the final chamber does indeed bear painted decoration with figural motifs. The ceiling is also painted. The paintings on the wall, described as a “frieze” include the following: an animal (maybe a bull) is flanked by two human figures, one male, one female, both shown in movement. Beyond each of them is a hydria (a water jug), followed by a winged humanoid figure. The winged figure on the right is approaching a tall tripod vessel, a motif often associated with sacred places. The painting is very faded, but traces of various colours can be made out, as can some details of the drawing. Such elaborate decoration underlines the importance of the Kasta monument. 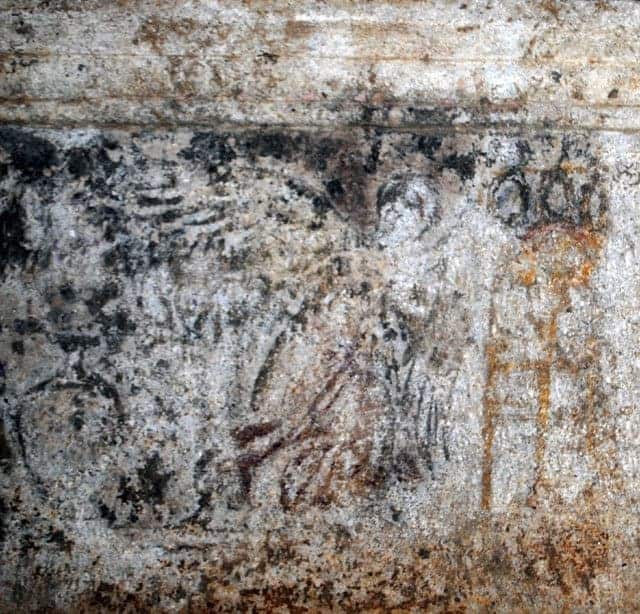 I have not found any interpretations of the scene yet (they will come soon enough), nor is iot clear whether further wall paintings might be revealed.